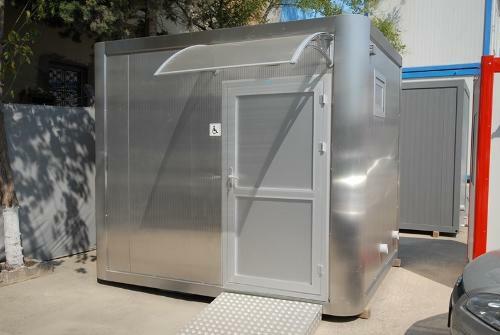 Emergency Settlement Container - OZGE YAPI PREFABRICATED COORP. Emergency life container units are used in meeting the sheltering needs of people who are homeless after natural disasters such as earthquake, flood, hurricane etc. Manufacturing all of the main raw materials we use in the production of prefabricated building and containers in our integrated plant gives the advantage to allow us to fulfill the incoming demands as fast as possible, in these periods where it is a race against the time. Our standard container models in the sizes of 2,40×6,00 and 3,00×7,00 m. with bathroom and kitchen sink are the ideal solutions for these durations. The containers with their production completed at the factory are consigned in finished form for the container camps in which the infrastructures are prepared by the related institutions. Hekim Demountable Container solutions can also be applied apart from Hekim Panel Container solutions. Our aim is to solve the sheltering problems of the needy and provide that they begin a life free of hassles afterwards.